Saturday, March 14, 6:30-11pm @ 1021 E. Broad St.
Socialize and network with progressive friends for hors-d’oeuvres, drink, art and music. 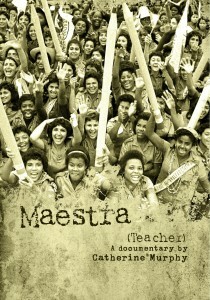 Showing “Maestra” [Teacher] about Cuban literacy program and music by Solartopia. Posted by Webmaster/Moderator	on Saturday, March 7th, 2015 at 7:49 pm.